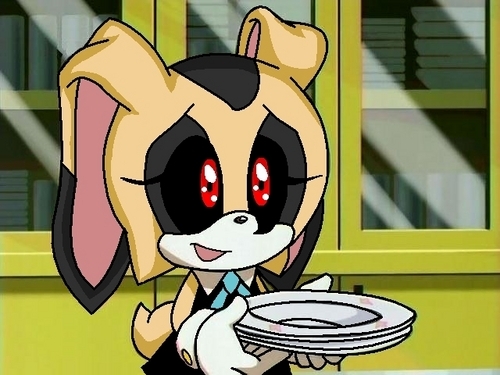 No Name. . Wallpaper and background images in the Sonic girl Fan characters club tagged: girl rabbit sonicgoth. This Sonic girl Fan characters Screencap might contain anime, comic, manga, cartoon, comic buch, karikatur, and comics. what about darkly the rabbit?